Buenos Aires is the capital and largest city of Argentina, and the second-largest metropolitan area in South America. It is located on the western shore of the estuary of the Río de la Plata, on the continent's southeastern coast. 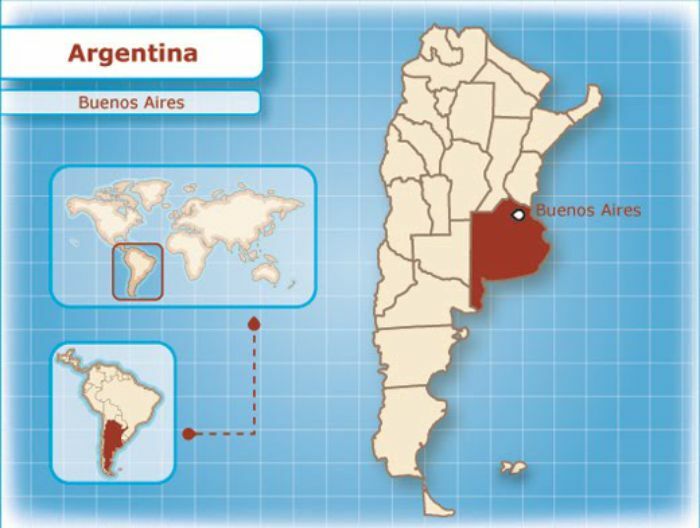 The Greater Buenos Aires conurbation, which also includes several Buenos Aires Province districts, constitutes the third-largest conurbation in Latin America, with a population of around fifteen and a half million. Buenos Aires is the most visited city in South America (ahead of Rio de Janeiro) and the second most visited city across Spanish Latin America. It is also one of the most important, largest and most populous of South American capitals. Buenos Aires is a top tourist destination, and is known for its European-style architecture and rich cultural life, with the highest concentration of theatres in the world. There are direct flights to Buenos Aires from most major Latin American cities, many major US cities (including Atlanta, New York, Washington, Miami, Dallas, Houston) and EU cities (including London, Paris, Rome, Madrid, Amsterdam, Estambul, Frankfurt, Zurich). There are also direct flights from major cities from the rest of the world (including Johannesburg, Doha, Sydney). 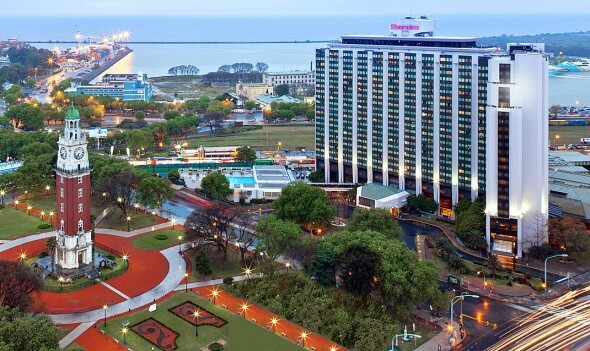 The 39th International Conference on Software Engineering will have two venues. The main conference will take place from 24 - 26 May 2017 and will be held at Sheraton Buenos Aires Hotel & Convention Center, San Martín 1225 - Buenos Aires, Argentina. To travel between the two there are various options. 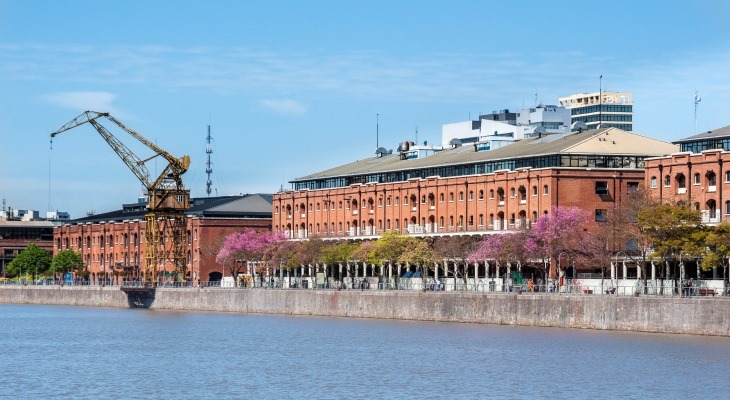 Walking: There is a scenic walk, 20 to 30 minutes, along Puerto Madero. Biking: There are a couple of (free) city bike hire places close to the Sheraton and there are some drop off points close to UCA. 10 minute ride. Taxi: A Taxi will cost approximately 5 USD and will take a route similar to that of the bus or the walk. Depending on the traffic it can take between 10 and 15 minutes. How to get a SUBE card (necessary to pay for public transport). Information about a free cycle hire system. Information about buses, taxis and trains. Bus services in town are very frequent and there are usually various options of how to reach your destination. You can use the following map as an alternative to the usual map services on the internet. Underground trains are also very frequent and are paid using SUBE, note that they do close in the evening. Taxis are metered and you pay the amount of pesos displayed on the screen. You can flight to either of the Buenos Aires airports: Ministro Pistarini International Airport (EZE) and Jorge Newbery (AEP) (usually referred to as "Aeroparque”). EZE serves most of the international flights. AEP serves mostly domestic and regional flights, but no large planes. The ICSE 2017 conference venues are located in the heart of Buenos Aires city, 6.7 km away from AEP and 33.7 km from EZE. If you are landing at EZE, there are quite a few cab companies that you can hire at the airport to get to downtown. At EZE airport they have booths just after customs but before getting to the area where the public has access to. You prepay, the cost to the Sheraton is roughly 750 pesos. A good option for daytime arrivals is the bus operated by Tienda Leon that departing every 30 minutes to “Terminal Madero”, 200 meters from the Sheraton. Cost: 210 pesos. You can contact the same companies to return to the airport. Note that travel time varies greatly depending on the traffic, from 30 to 75 minutes. If you are landing at AEP, you can get a local bus (33 or 45) to the Sheraton but will need to buy a “SUBE” transport card before hand. Alternatively you can get a taxi from the taxi rank. The fare to the Sheraton should be around 10USD (note that the taxi meter displays final price in local currency). There are two tourist offices very close to the Sheraton: One at Florida 1000 (500 meters away), the other at Juana Manuela Gorriti 200 (nearly half way towards UCA). 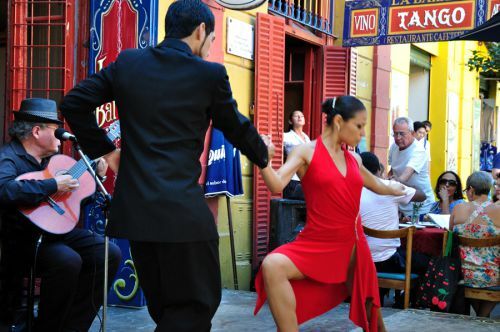 Strongly influenced by European culture, Buenos Aires is sometimes referred to as the "Paris of South America". The city has the busiest live theatre industry in Latin America, with scores of theatres and productions. In fact, every weekend, there are about 300 active theatres with plays, a number that places the city as 1st worldwide, more than either London, New York or Paris, cultural Meccas in themselves. The number of cultural festivals with more than 10 sites and 5 years of existence also places the city as 2nd worldwide, after Edinburgh.